Are you ready to train at the range or just do some plinking? 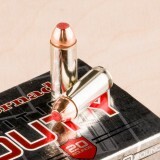 Why not try 10mm ammo loaded with a full metal jacket bullet? 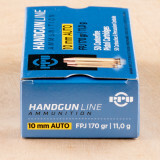 FMJ Ammo is a cost-effective solution and a great way to spend more time at the range for less money. 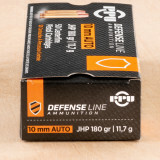 JHP ammo is designed to expand when hitting a target making it an ideal choice for home defense or concealed carry. 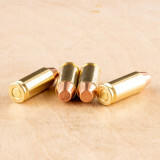 10mm ammo is a powerful cartridge that puts the force of a magnum revolver into a semi-automatic handgun. 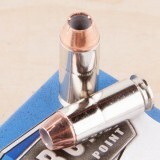 It is also the parent cartridge of the .40 S&W; the main difference between the two is the 10mm's longer case length. 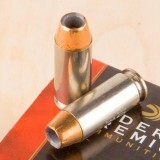 Loads for this caliber tend to feature heavy 180 grain bullets with a muzzle velocity above 1,000 fps. 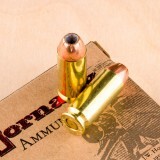 Jacketed hollow point ammunition intended for self-defense is typically quite powerful and suitable only for trained shooters; target loads in 10mm Automatic are often comparable to .40 S&W versions and produce much more manageable recoil. Notable handguns chambered in 10mm Auto include the Bren Ten, Colt Delta Elite, Glock 20, and (starting in 2015) a variant of the SIG P220. Laid out below, you'll see our in-stock 10mm ammo for sale in bulk and defensive loads. It’s hard to dispute the quality of a company’s products when they’ve been in business for nearly two centuries. Sellier & Bellot, the Czech company who have kept their factory doors open since Queen Victoria was only six years old, are globally recognized for their ammunition’s performance -- you can find their stuff practically anywhere that firearms can be found. This 10mm cartridge features a non-corrosive Boxer primer, factory fresh and reloadable brass casing, and clean burning propellant that will keep your bore and action intact. Its 180 grain projectile is a balanced weight for its caliber, giving you a comfortable shooting session without sacrificing power. 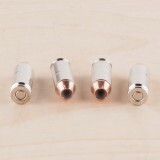 This bullet’s copper alloy jacket will prevent your pistol’s rifling from becoming gummed up with lead residue, and its flat nose not only ensures reliable feeding in semi-automatic weapons but also punches clean and easily spotted holes through paper targets. 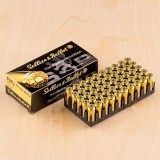 Give these 50 rounds a shot and Czech out why Sellier & Bellot has maintained their dominance in the ammo industry for such a long time! 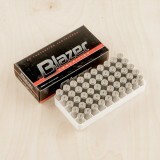 Many gun owners use Blazer ammunition for their target training due to its affordability and reliable ignition. 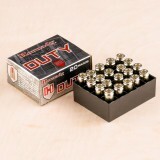 This 10mm Auto ammo uses aluminum cases; while these cannot be reloaded, they are light, durable, and polymer coated for reliable feeding and ejection. Aluminum cases cost considerably less than their brass counterparts, allowing you to push your per round costs way down. Each cartridge in this bulk priced case of 1,000 fires a heavy 200 grain full metal jacket bullet at a muzzle velocity of 1,050 feet per second. These rounds are real 10mm Auto ammo, with more power than a comparable .40 S&W load; they're a great choice for practice if you use a carry load that takes full advantage of the 10mm's ballistic potential. Blazer ammo is loaded by CCI, an Idaho based company that operates as part of the Vista Outdoor group of shooting related brands. CCI has been around since the 1940s and is known for producing extremely reliable primers and ammunition; their products use non corrosive Boxer primers and reloadable brass cases. 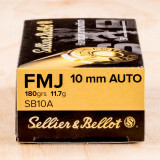 Enjoy shooting your 10mm Auto handguns while keeping costs under control with this dependable ammunition from Sellier & Bellot. 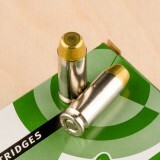 These cartridges deliver solid performance on the range; each box contains 50 rounds. This is a medium power load firing a 180 grain full metal jacket bullet at a muzzle velocity of 1,164 feet per second. 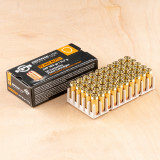 While not the most powerfull 10mm load out there, this ammo definitely produces a kick along with nice, flat trajectories and excellent accuracy. Sellier & Bellot ammo is made in the Czech Republic by CBC, which also produces the MEN and Magtech brands. 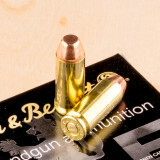 S&B ammo uses non-corrosive primers and re-loadable brass. Taking your 10mm Auto handgun to the range? Bring a few boxes of this Prvi Partizan range load with you! 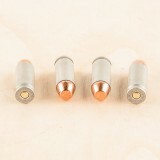 These cartridges fire a 170 grain full metal jacket bullet at a muzzle velocity of 1,115 feet per second and deliver flat trajectories and strong accuracy. Prvi Partizan is a Serbian manufacturer in business since the 1920s. 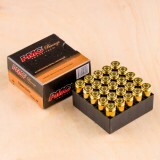 PPU ammo uses non-corrosive primers and reloadable brass cases. 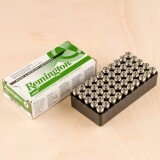 These 10mm ammo from Remington uses a metal case that ensures reliable feeding and less fouling. This means you’ll be able to go through more rounds during your training and practice periods. 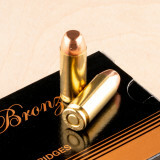 The rounds not only have world-class bullets, they also use clean-shooting primers and factory-fresh brass cases. Loaded with 180-grain bullets, these rounds are a great choice for range use and in this 500-round package, you'll get 10 boxes with each containing 50 cartridges that are ready for trigger time. Since 1816, Remington has been a leader in the world of ammunition. With excellent products for hunters, target shooters, law enforcement officials, and anyone concerned with self defense, Remington is trusted by gun owners all across the country. They not only have superior cartridges, they also create top-quality rifles, shotguns, and handguns. The 10mm Auto is a handgun cartridge that was developed in 1983 and was used extensively by law enforcement agencies until the early 1990’s. Although it was mostly replaced by the .40 S&W, the 10mm Auto remains a popular choice for hunting, self defense, and target shooting, thanks largely to its outstanding power and terminal performance. It’s even used by a few elite law enforcement agencies to this day. I’ve found Remington Nickel 10mm ammunition to be totally reliable in my 1911s. The Nickel cases are smooth functioning in the pistols and there is no better case for reloading. After the 1986 FBI shootout in Miami and the tragedy that happened there, the FBI decided it was time for a new handgun. In 1989, they adopted the 10mm Auto for a short time. It was great because of its stopping power and damage ability, but many officers did not like the heavy recoil, and the round was eventually replaced with the 40 S&W, which some proponents of the 10mm Auto like to call the 40 "short and wimpy." In all reality though, if you can take the recoil, the 10mm Auto is a fantastic firearm. If you're looking to get some shooting in with your trusty sidearm, you can't miss this deal on one thousand, FMJ, 200 grain rounds. 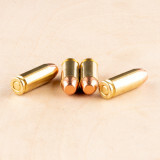 These brass cased, boxer primed rounds are reloadable, helping you save even more money. With a muzzle velocity of 1050 fps and the trusted reliability and accuracy of PMC, you will be hitting the target every time. Pick up this deal today! 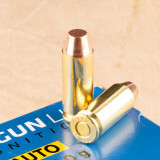 This 10mm Auto ammunition is an economical hollow point load suited to boar hunting, self-defense, and target shooting. Each cartridge in this case of 500 fires a heavy 180 grain JHP bullet at a muzzle velocity of 1,197 feet per second. 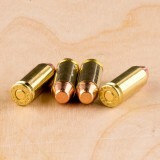 Hollow points bullets expand on contact with an assailant or animal to produce rapid incapacitation; however, their semi-wadcutter shape also lends itself well to punching clean holes in paper targets as well! Prvi Partizan ammunition is loaded in Uzice, Serbia and uses reloadable brass cases and non-corrosive Boxer primers. 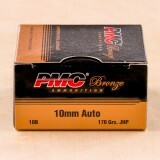 PMC is one of the premier companies in high quality but inexpensive ammunition. Their integration philosophy insures some of the best quality control. With their supplier manufacturing all of their parts themselves, this gives rise to incredibly high quality control. 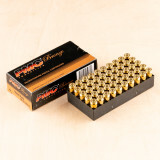 Manufactured to strict standards, this 50 round box of 10mm Auto PMC ammo is just what you need. Three years after the FBI disaster in Miami in 1986, the FBI adopted the 10mm Auto for a short time. In fact, some people still prefer this round over the round the FBI switched to after the 10mm Auto, the 40 S&W, referred to by some to as the 40 Short and Wimpy. This powerful, 200 Grain round fires at 1050 fps, packing a huge punch. 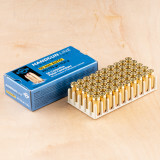 This 50 round box of FMJ-TC rounds are perfect for range training, keeping you in practice for when you need to stop someone with massive force. Don't miss out on this great deal and pick up some today! These 10mm rounds from Remington give you the performance and reliability you expect at the range. 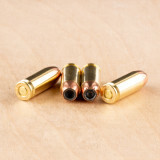 The clean-shooting rounds are excellent for training, as the 180-grain bullet with a metal case allows you to go through many rounds with less fouling in the barrel. 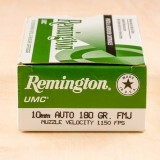 When it comes to value, few 10mm Auto bullets can deliver like Remington’s UMC cartridges. Order a few of these 50-round boxes and you’ll be all set for a day at the range. For over 200 years, Remington has been a top name in ammunition, creating options for handguns, rifles, and shotguns of nearly every variety. The 10mm Auto was a precursor to the .40 S&W handgun round, which is used extensively by law enforcement agencies, both on a local and national level. While it was decommissioned by many organizations when the .40 S&W became available, the 10mm Auto maintains a popular following, thanks in large part to its excellent power and reliable bullet speed. Good ammo, burns clean, decently accurate. Plated cases are hard to see in the gravel, but my eyes are old so YMMV. Would recommend to for Home Defense and Hunting. Very strong round, also very accurate for the money. Great in my Glock 20sf !!! 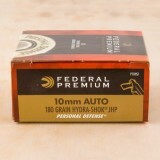 Pick up a few boxes of this 10mm Auto ammunition from Federal for your next range trip. 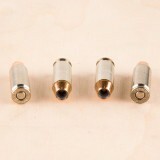 These cartridges are a relatively mild target load well-suited to high volume shooting. 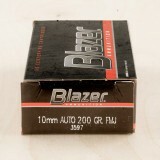 Each round in this box of 50 fires a heavy 180 grain full metal jacket bullet at 1,030 feet per second. This is very slightly more powerful than comparable .40 S&W loads and produces nice, flat trajectories and good medium-range accuracy. Federal ammunition is loaded in the USA using non-corrosive primers and reloadable brass cases. 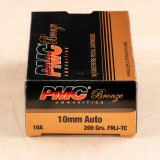 This high-velocity 10mm Auto ammunition from PMC is a cost-effective choice for both target shooting and defense. Each case contains 500 cartridges. 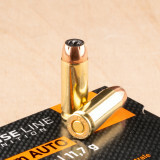 Distinctive features of this ammo include a relatively light 170 grain jacketed hollow point bullet and a muzzle velocity of 1,200 feet per second. This combination gives the projectile better expansion potential without dramatically increasing recoil. 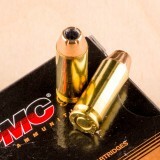 PMC ammo is loaded in South Korea using non-corrosive primers and reloadable brass. These components are made in-house for improved quality control. A full-power 10mm Auto load equally suited to target shooting and defense, this ammunition from PMC delivers excellent value for fans of this powerful cartridge. Each box contains 25 rounds. This ammo fires a light 170 grain jacketed hollow point bullet at 1,200 feet per second, delivering excellent expansion potential without excessive recoil (though like all 10mm loads, it does have a substantial kick to it). PMC ammunition is made in South Korea using internally sourced components including non-corrosive primers and reloadable brass cases. After Frontier Ammunition became Hornady Custom in 1983, Hornady's business took off and Hornady became a leader in the world of ammunition. With decades of trusted ammunition manufacturing, you know you can trust Hornady with your ammo needs. The 10mm Auto is a fantastic round that packs a pretty big punch. In fact, it was employed for this reason by the FBI after the disaster in Miami in 1986. However, it has quite a large recoil, which later lead to its decommission. That said, this is not a good round for lighter people, although stronger people may feel the force behind this powerful round. The Hornady designed XTP, or Extreme Terminal Performance, was created to deliver massive stopping power and expansion upon impact. 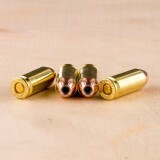 With these 180 grain, 10mm Auto, JHP XTP rounds in your pistol, you will deliver all the stopping power you need. Pick up a 200 round ammo can today! 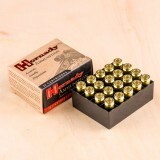 For a fast-moving, hard-hitting 10mm Auto carry load, try this ammunition from Hornady. 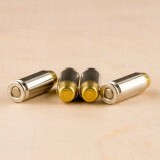 These cartridges fire the XTP jacketed hollow point bullet, which is known for its strong penetration. 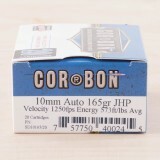 Each round in this box of 20 fires a 155 grain jacketed hollow point bullet at a muzzle velocity of 1,265 feet per second. Compared to other 10mm loads, these rounds fire a relatively light bullet at a high velocity--a combination that helps produce better expansion. 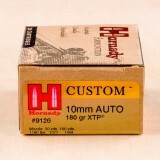 Hornady ammo is loaded in Grand Island, Nebraska using non-corrosive primers and reloadable brass cases. Although initially designed by Jeff Cooper in the United States, the 10mm Auto was first mass produced in Sweden. After the 1986 disaster in Miami, the FBI used it as their official pistol round, although it was later decommissioned. 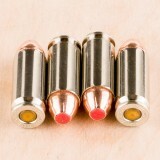 These 180 grain 10mm Auto rounds are reliable and accurate, although with such a large recoil, it is not ideal for smaller people. With Hornady's eXtreme Terminal Performance ammo, or XTP, you will not be disappointed. 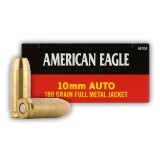 This jacketed hollow point ammo is specifically engineered to have fantastic terminal expansion, you cannot go wrong. 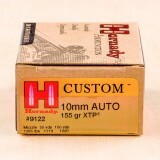 Hornady is a trusted manufacturer throughout America, and with their specialty XTP 10mm Auto rounds, you know you have some of the best self defense rounds in your firearm. If you own a 10-mm handgun for home defense, you need the right ammunition. Make sure you are loading rounds designed for the task by choosing this cartridge from Federal Premium Ammunition, a highly-respected name in the ammo industry. This 10-mm round uses a 180-grain bullet that comes out of the muzzle with a velocity of 1,030 feet per second and an energy of 424 foot pounds. It uses the Hydra-Shok jacketed hollow point round that delivers controlled expansion and reliable penetration. It has all the speed and stopping power you expect from a home defense round. 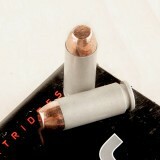 Federal Premium is known for top-quality rounds for handguns, rifles, and shotguns. This Minnesota-based company has been serving the needs of hunters and recreational shooter for years, creating ammo that is consistent and reliable since 1922. They not only make quality self defense rounds, they also provide supplies for muzzleloading and ammo reloading. 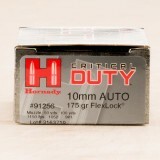 This defensive ammunition from Hornady's Critical Duty combines the high caliber and power of the 10mm Auto with the wide expansion and deadly terminal ballistics of the Flexlock hollow point bullet. 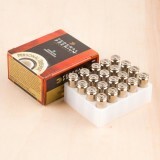 Each cartridge in this box of 20 fires a 175 grain projectile at a muzzle velocity of 1,160 feet per second. The Flexlock bullet is distinguished by its soft polymer tip, which controls expansion for optimal performance and keeps barriers such as thick clothing, glass, or sheet metal (which this ammo is designed to penetrate without losing its effectiveness) from clogging the projectile's cavity. 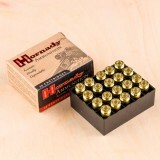 Hornady ammunition is loaded in Grand Island, Nebraska and uses non-corrosive Boxer primers and nickel-plated brass cases. 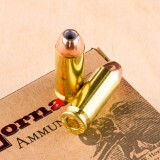 10mm Auto ammo complete with Brass cases and a Jacketed Hollow-Point (JHP) projectile. 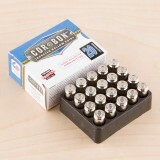 Manufactured by Corbon to the highest of standards with a Boxer primer and 165 Grain bullet, the quality components come together and add up to a round that's great for home defense. You'll get 20 rounds shipped fast when you order this today.